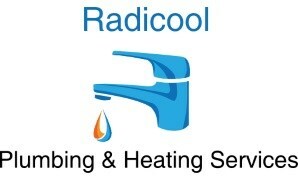 Radicool Plumbing & Heating Services - Central Heating Engineer based in Leigh-on-Sea, Essex. Hi, my name is Macauley Jones and I am the Owner of Radicool Plumbing and Heating Services. My company has been up and running since late 2018 but I have been in the trade of Gas, Plumbing and Heating for the past 8 Years. I have been Gas Safe Registered for the past 3 years (Registration number 628006) and a Qualified Plumbing and Heating Engineer for the past 8 Years (Level 2 NVQ). I would like to say, that over the past years I have covered all aspects of the trades and managed to conquer every challenge I have been faced with. As a company we undertake all works no matter how small or large. We cover everything from Leaks to Installations & Servicing. Our prices are Reasonable and Affordable, but you will always get a great service by the Engineers. We always aim to make every customer feel as an individual to the job they require.